…yesterday was to have been a post day but turned into Disconnectivity Day for area telephones and internet via their fiberoptic cables. I would have missed #AdjunctChat but with the experimental all day "facilitated by us" format, I was able to make part of it and brought up +Laura Gibbs' idea about an instructor Learning Commons hub that she introduced on #ccourses. It keeps growing too. #FrackOff (video of September 20 livestreamed event) features activists Shelley A. Young, Kandi Mosset, Elle Maija Tailfeathers, and Ellen Gabriel who will discuss high-profile media campaigns by indigenous groups in Canada and the United States that protest the oil and fracking industries and the ongoing governmental violations of Tribal sovereignty and treaty rights. 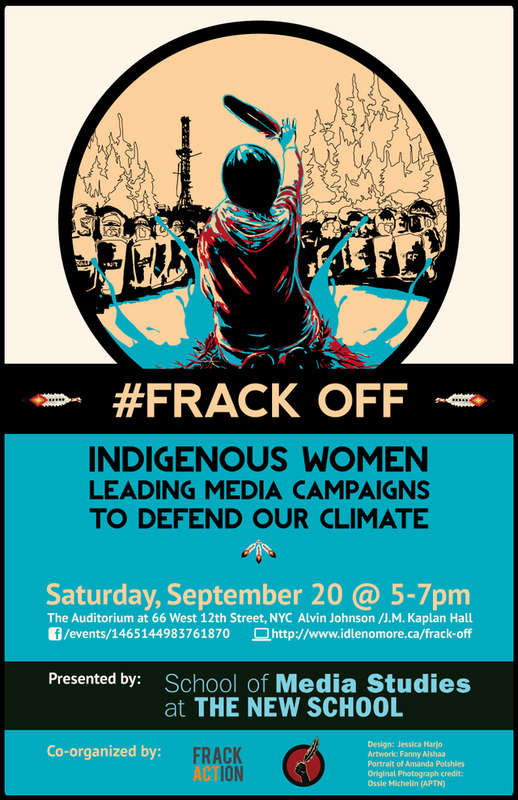 Sponsored by the School of Media Studies and co-organized in collaboration with Idle No More and Frack Action, a leading New York-based organization working for a statewide ban on fracking as a part of Climate Action Week at The New School. The New School demonstrates our commitment to climate action and our solidarity with people converging on New York City for the historic People’s Climate March on September 21 with a week-long series of events focused on climate change. Please consider organizing a panel, or submitting an idea for a paper, collaborative research project, strategy session, or other contribution to the subconference ~ CFP online here and here. There may be some funding for participants! (and if you can contribute 5 or 10 $$, that would really help someone attend who might not make it there without some travel funding! Thanks to all. The organizers of the MLA Subconference are committed to using a large portion of our funds to provide partial travel grants to participants and attendees who need the support. We have decided to make this an ongoing and expanding goal each year, and are currently working out the logistics. …there are more "adjunct trail blazers" to shout out...and we will try to do just that. To mention just a few, both Annette M. Rodriguez' #WeAreNNMC (also dba @Alacranita) and the UA Convergence campaigns are models for aspiring adjunct activist groups Covered extensively, they deserve separate overview posts…time/energy permitting, they will get them. In the meantime, the precarious faculty network would like The three in the title recently hit my digital field of vision windshield recently: here's a quick shout out plus links for you to follow and support them. PS there's a video at the end...for dessert. who needs a liberal education? Eric Hartman (Kansas State) and Antoinette Hertel (St. Joseph’s): Clearer Thinkers, Better People? Unpacking Assumptions in Liberal Education. Who needs a liberal education? Gilbert Meilaender on why we should stop pretending that the liberal arts are important frosting on the cake of an education that is in fact designed for other purposes. An excerpt from Beyond the University: Why Liberal Education Matters by Michael Roth. Why Scott Samuelson teaches Plato to plumbers: Liberal arts and the humanities aren't just for the elite. The humanities aren't obscure, arcane or irrelevant — they awaken our souls, influence how we think about inequality, and help us adapt to a changing world. … short videos from the precarious faculty playlist on YouTube and Cory Doctorow on general computing issues relevant to anyone spending time on a personal computer or even just using computerized devices to read, listen to music, get directions, etc...if not now then someday soon. Adjunct videos are selected with an eye to worthies that merit more eyeballs and reruns of oldies, seen by many but not recently. Bill Lipkin gave me the idea for this when he recently shared the first selection, unawares that it was not a new release, and then wondered how he missed it. Missing videos (and more) on the tubz is easy. Sunday Matinees are ideal for catching up with them, as we did with Barbara Wolf's A Simple Matter of Justice series. A good chunk of today went to making the best of an inadvertent ending, but the effort also folded into shaping/ reorganization for Connected Courses (more here). Instead of "developing networked, open courses that embody the principles of connected learning and the values of the open web," I want to develop my motley collection of blogs, social media, curation/aggregation pages, whatever, into an open information network that incorporates the principles of connected learning and the values of the open web ~ not a course but still for learning. Intending to delete a duplicated back-up blog on Tumblr, I instead deleted my main account along with associated blogs ~ adjunct, local, personal, special interest~ some more active than others. From the now extinct dashboard, I managed Precarity Dispatches, Adjunct Stories, COCAL Updates and recently re-purposed Equity in Diversity (still finding its way). The last two are gone for good, as explained elsewhere. Panic beckoned until I remembered that 1-2 (not sure which) had originated on and still be on another account (tl;dr) ... if I could remember the account name, which email address created under and find the password, all of which I eventually managed. Since this was more like an emergency restart to keep on going than a "new beginning," could I call it an "old beginning"? The inventory is uneven, incomplete ~ in progress. 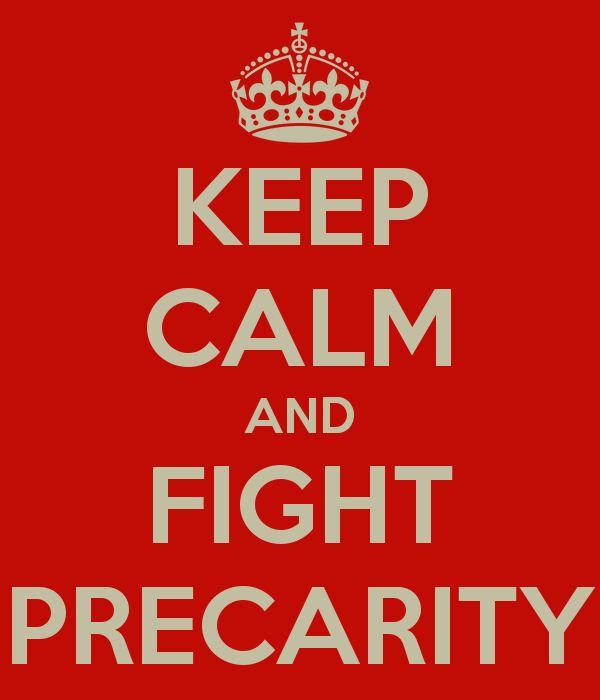 Nor are all either exclusively "precarity centric" or with an advocacy focus but all are interest related. What does #NetNeutrality have to do with #adjunct & other precarious worker activists? 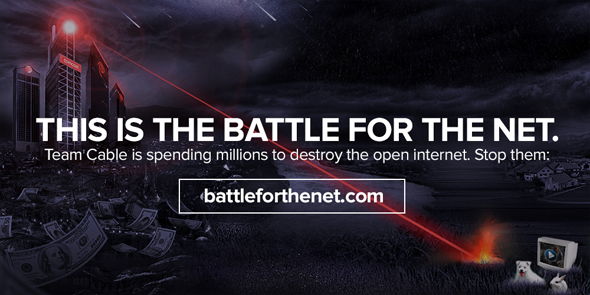 The Internet Slowdown, the net neutrality protest planned for today September 10th is taking off. As of September 4, a dozen of the world’s largest websites announced that they’re joining in a big way. Sites you know and use like Etsy, Kickstarter, Wordpress, Vimeo, Mozilla, Namecheap, Foursquare, imgur, and reddit (and surely more by now). Will you join too? 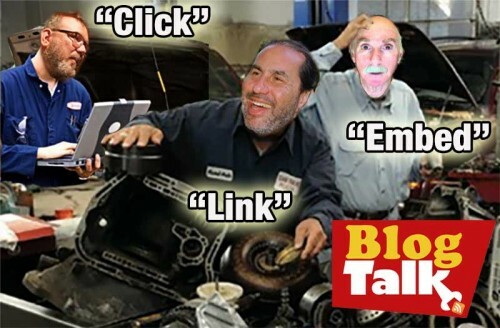 …Click, Link and Embed, better known as Jim "EduPunk" Groom, Alan "CogDog" Levine, and Howard "Exploring mind amplifiers since 1964" Rheingold. …re-posted from Remaking the University. Back when Michael Meranze (history, UCLA) blogged a weekly links post, I often reblogged it. He still blogs regularly, but Latest Links is now a feature on the sidebar with no rss feed. Links encompass the education spectrum but from a California perspective, welcome and sometimes short in national higher ed coverage. The film is one of the first pictures to advance the feminist social and political point of view. Its plot centers on a long and difficult strike, based on the 1951 strike against the Empire Zinc Company in Grant County, New Mexico. In the film, the company is identified as "Delaware Zinc," and the setting is "Zinctown, New Mexico." The film shows how the miners, the company, and the police react during the strike. In neorealist style, the producers and director used actual miners and their families as actors in the film. The film was called subversive and blacklisted because the International Union of Mine, Mill and Smelter Workers sponsored it and many blacklisted Hollywood professionals helped produce it.